After becoming one of the most prosperous economic regions in Europe between 1600 and 1700, Britain led the industrial revolution and dominated the European and world economy during the 19th century. It was the major innovator in machinery such as steam engines (for pumps, factories, railway locomotives and steamships), textile equipment, and tool-making. It invented the railway system and built much of the equipment used by other nations. As well it was a leader in international and domestic banking, entrepreneurship, and trade. It built a global British Empire. After 1840 it abandoned mercantilism and practised "free trade," with no tariffs or quotas or restrictions. The powerful Royal Navy protected its global holdings, while its legal system provided a system for resolving disputes inexpensively. Between 1870 and 1900, economic output per head of population in Britain and Ireland rose by 500 per cent, generating a significant rise in living standards. However, from the late 19th century onwards Britain experienced a relative economic decline as other nations such as the United States and Germany caught up. In 1870, Britain's output per head was the second highest in the world after Australia. By 1914, it was fourth highest. In 1950, British output per head was still 30 per cent ahead of the six founder members of the EEC, but within 50 years it had been overtaken by many European and several Asian countries. The economic history of the United Kingdom deals with the economic history of England and Great Britain from 1500 to the early 21st century. Following the Black Death and the agricultural depression of the late 15th century, population began to increase. The export of woollen products resulted in an economic upturn with products exported to mainland Europe. Henry VII negotiated the favourable Intercursus Magnus treaty in 1496. The high wages and abundance of available land seen in the late 15th century and early 16th century were temporary. When the population recovered low wages and a land shortage returned. Historians in the early 20th century characterized the economic in terms of general decline, manorial reorganization, and agricultural contraction. Later historians dropped those themes and stressed the transitions between medieval forms and Tudor progress. Various inflationary pressures existed; some were due to an influx of New World gold and a rising population. Inflation had a negative effect on the real wealth of most families. It set the stage for social upheaval with the gap between the rich and poor widening. This was a period of significant change for the majority of the rural population, with manorial lords beginning the process of enclosure. John Leland left rich descriptions of the local economies he witnessed during his travels 1531 to 1560. He described markets, ports, industries, buildings and transport links. He showed some small towns were expanding, through new commercial and industrial opportunities, especially cloth manufacture. He found other towns in decline, and suggested that investment by entrepreneurs and benefactors had enabled some small towns to prosper. Taxation was a negative factor in economic growth, since it was imposed, not on consumption, but on capital investments. Especially within the British empire exports started to increase heavily in this period. Mostly privately-owned companies traded with the colonies in the West indies, Northern America and India. The Company of Merchant Adventurers of London brought together London's leading overseas merchants in a regulated company in the early 15th century, in the nature of a guild. Its members' main business was the export of cloth, especially white (undyed) woolen broadcloth. This enabled them to import a large range of foreign goods. Woolen cloth was the chief export and most important employer after agriculture. The golden era of the Wiltshire woolen industry was in the reign of Henry VIII. In the medieval period, raw wool had been exported, but now England had an industry, based on its 11 million sheep. London and towns purchased wool from dealers, and send it to rural households where family labor turned it into cloth. They washed the wool, carded it and spun it into thread, which was then turned into cloth on a loom. Export merchants, known as Merchant Adventurers, exported woolens into the Netherlands and Germany, as well as other lands. The arrival of Huguenots from France brought in new skills that expanded the industry. The diet depended largely on social class. The rich ate meat --beef, pork, venison--and white bread, the poor ate coarse dark bread, with a bit of meat perhaps at Christmas. Everyone drank ale--water was often too impure to drink. Fruits and vegetables were seldom eaten. Rich spices were used by the wealthy to offset the smells of old salted meat. Vegetables and fruits were not popular. The potato was not part of the diet. The rich enjoyed desserts such as pastries, tarts, cakes, and crystallized fruit, and syrup. Among the rich private hospitality was an important item in the budget. Entertaining a royal party for a few weeks could be ruinous to a nobleman. Inns existed for travellers but restaurants were not known. Both the rich and the poor had diets with nutritional deficiency. The lack of vegetables and fruits in their diets caused a deficiency in vitamin C, sometimes resulting in scurvy. Trade and industry flourished in the 16th century, making England more prosperous and improving the standard of living of the upper and middle classes. However, the lower classes did not benefit much and did not always have enough food. As the English population was fed by its own agricultural produce, a series of bad harvests in the 1590s caused widespread distress. In the 17th century the food supply improved. England had no food crises from 1650 to 1725, a period when France was unusually vulnerable to famines. Historians point out that oat and barley prices in England did not always increase following a failure of the wheat crop, but did do in France. About one-third of the population lived in poverty, with the wealthy expected to give alms to assist the impotent poor. Tudor law was harsh on the able-bodied poor i.e., those unable to find work. Those who left their parishes in order to locate work were termed vagabonds and could be subjected to punishments, including whipping and putting at the stocks. Besides woollens, cotton, silk and linen cloth manufacturing became important after 1600, as did coal and iron. The basis of the British Empire was founded in the age of mercantilism, an economic theory that stressed maximizing the trade inside the empire, and trying to weaken rival empires. The 18th century British Empire was based upon the preceding English overseas possessions, which began to take shape in the late 16th and early 17th century, with the English settlement of islands of the West Indies such as Trinidad and Tobago, the Bahamas, the Leeward Islands, Barbados, Jamaica, and Bermuda, and of Virginia, one of the Thirteen Colonies which in 1776 became the United States, as well as of the Maritime provinces of what is now Canada. The sugar plantation islands of the Caribbean, where slavery became the basis of the economy, comprised England's most lucrative colonies. The American colonies also utilized slave labour in the farming of tobacco, indigo, and rice in the south. England, and later Great Britain's, American empire was slowly expanded by war and colonization. Victory over the French during the Seven Years' War gave Great Britain control over what is now eastern Canada. In a period loosely dated from the 1770s to the 1820s, Britain experienced an accelerated process of economic change that transformed a largely agrarian economy into the world's first industrial economy. This phenomenon is known as the "industrial revolution", since the changes were far-reaching and permanent throughout many areas of Britain, especially in the developing cities. Great Britain provided the legal and cultural foundations that enabled entrepreneurs to pioneer the industrial revolution. Starting in the later part of the 18th century, there began a transition in parts of Great Britain's previously manual labour and draft-animal–based economy towards machine-based manufacturing. It started with the mechanisation of the textile industries, the development of iron-making techniques and the increased use of refined coal. Trade expansion was enabled by the introduction of canals, improved roads and railways. Factories pulled thousands from low productivity work in agriculture to high productivity urban jobs. The introduction of steam power fuelled primarily by coal, wider utilisation of water wheels and powered machinery (mainly in textile manufacturing) underpinned the dramatic increases in production capacity. The development of all-metal machine tools in the first two decades of the 19th century facilitated the manufacture of more production machines for manufacturing in other industries. The effects spread throughout Western Europe and North America during the 19th century, eventually affecting most of the world, a process that continues as industrialisation. According to Max Weber, the foundations of this process of change can be traced back to the Puritan Ethic of the Puritans of the 17th century. This produced modern personalities attuned to innovation and committed to a work ethic, inspiring landed and merchant elites alive to the benefits of modernization, and a system of agriculture able to produce increasingly cheap food supplies. To this must be added the influence of religious nonconformity, which increased literacy and inculcated a "Protestant work ethic" amongst skilled artisans. A long run of good harvests, starting in the first half of the 18th century, resulted in an increase in disposable income and a consequent rising demand for manufactured goods, particularly textiles. The invention of the flying shuttle by John Kay enabled wider cloth to be woven faster, but also created a demand for yarn that could not be fulfilled. Thus, the major technological advances associated with the industrial revolution were concerned with spinning. James Hargreaves created the Spinning Jenny, a device that could perform the work of a number of spinning wheels. However, while this invention could be operated by hand, the water frame, invented by Richard Arkwright, could be powered by a water wheel. Indeed, Arkwright is credited with the widespread introduction of the factory system in Britain, and is the first example of the successful mill owner and industrialist in British history. The water frame was, however, soon supplanted by the spinning mule (a cross between a water frame and a jenny) invented by Samuel Crompton. Mules were later constructed in iron by Messrs. Horrocks of Stockport. As they were water powered, the first mills were constructed in rural locations by streams or rivers. Workers villages were created around them, such as New Lanark Mills in Scotland. These spinning mills resulted in the decline of the domestic system, in which spinning with old slow equipment was undertaken in rural cottages. The steam engine was invented and became a power supply that soon surpassed waterfalls and horsepower. The first practicable steam engine was invented by Thomas Newcomen, and was used for pumping water out of mines. A much more powerful steam engine was invented by James Watt; it had a reciprocating engine capable of powering machinery. The first steam-driven textile mills began to appear in the last quarter of the 18th century, and this transformed the industrial revolution into an urban phenomenon, greatly contributing to the appearance and rapid growth of industrial towns. The progress of the textile trade soon outstripped the original supplies of raw materials. By the turn of the 19th century, imported American cotton had replaced wool in the North West of England, though wool remained the chief textile in Yorkshire. Textiles have been identified as the catalyst in technological change in this period. The application of steam power stimulated the demand for coal; the demand for machinery and rails stimulated the iron industry; and the demand for transportation to move raw material in and finished products out stimulated the growth of the canal system, and (after 1830) the railway system. Such an unprecedented degree of economic growth was not sustained by domestic demand alone. 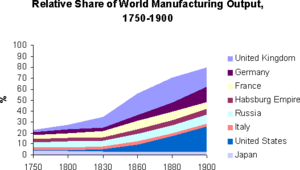 The application of technology and the factory system created such levels of mass production and cost efficiency that enabled British manufacturers to export inexpensive cloth and other items worldwide. Walt Rostow has posited the 1790s as the "take-off" period for the industrial revolution. This means that a process previously responding to domestic and other external stimuli began to feed upon itself, and became an unstoppable and irreversible process of sustained industrial and technological expansion. In the late 18th century and early 19th century a series of technological advances led to the Industrial Revolution. Britain's position as the world's pre-eminent trader helped fund research and experimentation. The nation also had some of the world's greatest reserves of coal, the main fuel of the new revolution. The Industrial Revolution saw a rapid transformation in the British economy and society. Previously, large industries had to be near forests or rivers for power. The use of coal-fuelled engines allowed them to be placed in large urban centres. These new factories proved far more efficient at producing goods than the cottage industry of a previous era. These manufactured goods were sold around the world, and raw materials and luxury goods were imported to Britain. During the Industrial Revolution the empire became less important and less well-regarded. The British defeat in the American War of Independence (1775–1783) deprived it of its largest and most developed colonies. This loss brought a realisation that colonies were not particularly economically beneficial to the home economy. It was realised that the costs of occupation of colonies often exceeded the financial return to the taxpayer. In other words, formal empire afforded no great economic benefit when trade would continue whether the overseas political entities were nominally sovereign or not. The American Revolution helped demonstrate this by showing that Britain could still control trade with the colonies without having to pay for their defence and governance. Capitalism encouraged the British to grant their colonies self-government, starting with Canada, which became unified and largely independent in 1867, and Australia, which followed suit in 1901. Critical to British success in confronting Napoleon was its superior economic situation. It was able to mobilize the nation’s industrial and financial resources and apply them to defeating France. With a population of 16 million Britain was barely half the size of France with 30 million. In terms of soldiers, the French numerical advantage was offset by British subsidies that paid for a large proportion of the Austrian and Russian soldiers, peaking at about 450,000 in 1813. Most important, the British national output remained strong. Textiles and iron grew sharply. Iron production expanded as demand for cannon and munitions was insatiable. Agricultural prices soared—it was a golden age for agriculture even as food shortages appeared here and there. There were riots in Cornwall, Devon, and Somerset during the food shortages of 1800-01. Mobs forced merchants to hand over their stocks, as the food was distributed to the hungry by popular committees. Wells concludes that the disturbances indicate deep social grievances that extended far beyond the immediate food shortages. Overall, however, crop production grew 50% between 1795 and 1815. The system of smuggling finished products into the continent undermined French efforts to ruin the British economy by cutting off markets. The well-organized business sector channelled products into what the military needed. Not only did British cloth provide for British uniforms, it clothed the allies as well and indeed the French soldiers too. Britain used its economic power to expand the Royal Navy, doubling the number of frigates and increasing the number of large ships of the line by 50%, while increasing the roster of sailors from 15,000 to 133,000 in eight years after the war began in 1793. France, meanwhile, saw its navy shrink by more than half. The British budget in 1814 reached £66 million, including £10 million for the Navy, £40 million for the Army, £10 million for the Allies, and £38 million as interest on the national debt. The national debt soared to £679 million, more than double the GDP. It was willingly supported by hundreds of thousands of investors and tax payers, despite the higher taxes on land and a new income tax. The whole cost of the war came to £831 million. By contrast the French financial system was inadequate and Napoleon’s forces had to rely in part on requisitions from conquered lands. O’Brien examines the long-term economic impact of the wars, 1793-1815, and finds them generally favourable, except for damage to the working class. The economy was not damaged by the diversion of manpower to the army and navy; in terms of destruction and enforced transfer of national wealth, Britain came out ahead. British control of the oceans proved optimal in creating a liberal free-trade global economy, and helped Britain gain the lion’s share of the world's carrying trade and financial support services. The effects were positive for agriculture and most industries, apart from construction. The rate of capital formation was slowed somewhat and national income perhaps would have grown even faster without war. The most negative impact was a drop in living standards for the urban working classes. After 1840 Britain abandoned mercantilism and committed its economy to free trade, with few barriers or tariffs. This was most evident in the repeal in 1846 of the Corn Laws, which had imposed stiff tariffs on imported grain. The end of these laws opened the British market to unfettered competition, grain prices fell, and food became more plentiful. From 1815 to 1870 Britain reaped the benefits of being the world's first modern, industrialised nation. It described itself as 'the workshop of the world', meaning that its finished goods were produced so efficiently and cheaply that they could often undersell comparable, locally manufactured goods in almost any other market. If political conditions in a particular overseas market were stable enough, Britain could dominate its economy through free trade alone without having to resort to formal rule or mercantilism. Britain was even supplying half the needs in manufactured goods of such nations as Germany, France, Belgium, and the United States. By 1820, 30% of Britain's exports went to its Empire, rising slowly to 35% by 1910. Apart from coal and iron, most raw materials had to be imported so that, in the 1830s, the main imports were (in order): raw cotton (from the American South), sugar (from the West Indies), wool, silk, tea (from China), timber (from Canada), wine, flax, hides and tallow. By 1900, Britain's global share soared to 22.8% of total imports. By 1922, its global share soared to 14.9% of total exports and 28.8% of manufactured exports. The British invented the modern railway system and exported it to the world. They emerged from Britain's elaborate system of canals and roadways, which both used horses to haul coal for the new steam engines installed in textile factories. Britain furthermore had the engineers and entrepreneurs needed to create and finance a railway system. In 1815, George Stephenson invented the modern steam locomotive, launching a technological race bigger, more powerful locomotives using higher and higher steam pressures. 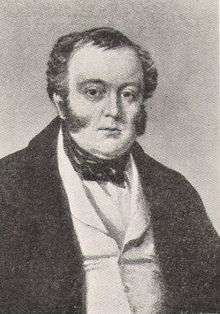 Stephenson's key innovation came when he integrated all the components of a railways system in 1825 by opening the Stockton and Darlington line. It demonstrated it was commercially feasible to have a system of usable length. London poured money into railway building—a veritable bubble, but one with permanent value. Thomas Brassey brought British railway engineering to the world, with construction crews that in the 1840s employed 75,000 men across Europe. Every nation copied the British model. Brassey expanded throughout the British Empire and Latin America. His companies invented and improved thousands of mechanical devices, and developed the science of civil engineering to build roadways, tunnels and bridges. The telegraph, although invented and developed separately, proved essential for the internal communications of the railways because it allowed slower trains to pull over as express trains raced through. Telegraphs made it possible to use a single track for two-way traffic, and to locate where repairs were needed. Britain had a superior financial system based in London that funded both the railways in Britain and also in many other parts of the world, including the United States, up until 1914. The boom years were 1836 and 1845–47, when Parliament authorized 8,000 miles of railways with a projected future total of £200 million; that about equalled one year of Britain's GDP. Once a charter was obtained, there was little government regulation, as laissez faire and private ownership had become accepted practices. Isambard Kingdom Brunel (1806–1859) designed the first major railway, the Great Western, built originally in the 1830s to cover the 100 miles from London to Bristol. Even more important was the highly controversial George Hudson. He became Britain's "railway king" by merging numerous short lines. Since there was no government agency supervising the railways, Hudson set up a system that all the lines adopted called the Railway Clearing House. It made interconnections easy for people and freight by standardizing routines for transferring freight and people between companies, and loaning out freight cars. By 1849 Hudson controlled nearly 30% of Britain's trackage. Hudson did away with accountants and manipulated funds—paying large dividends out of capital because profits were quite low, but no one knew that until his system collapsed and the railway bubble of the late 1840s burst. By 1850 Britain had a well integrated, well engineered system that provided fast, on-time, inexpensive movement of freight and people to every city and most rural districts. Freight rates had plunged to a penny a ton mile for coal. The system directly or indirectly employed tens of thousands of engineers, conductors, mechanics, repairmen, accountants, station agents and managers, bringing a new level of business sophistication that could be applied to many other industries, and helping many small and large businesses to expand their role in the industrial revolution. Thus railways had a tremendous impact on industrialization. By lowering transportation costs, they reduced costs for all industries moving supplies and finished goods, and they increased demand for the production of all the inputs needed for the railway system itself. The system kept growing; by 1880, there were 13,500 locomotives which each carried 97,800 passengers a year, or 31,500 tons of freight. During the First Industrial Revolution, the industrialist replaced the merchant as the dominant figure in the capitalist system. In the later decades of the 19th century, when the ultimate control and direction of large industry came into the hands of financiers, industrial capitalism gave way to financial capitalism and the corporation. The establishment of behemoth industrial empires, whose assets were controlled and managed by men divorced from production, was a dominant feature of this third phase. New products and services were also introduced which greatly increased international trade. Improvements in steam engine design and the wide availability of cheap iron (and after 1870 steel) meant that slow, sailing ships could be replaced with steamships, such as Brunel's SS Great Western. Electricity and chemical industries became important although Britain lagged behind the U.S. and Germany. Amalgamation of industrial cartels into larger corporations, mergers and alliances of separate firms, and technological advancement (particularly the increased use of electric power and internal combustion engines fuelled by gasoline) were mixed blessings for British business during the late Victorian era. The ensuing development of more intricate and efficient machines along with mass production techniques greatly expanded output and lowered production costs. As a result, production often exceeded domestic demand. Among the new conditions, more markedly evident in Britain, the forerunner of Europe's industrial states, were the long-term effects of the severe Long Depression of 1873-1896, which had followed fifteen years of great economic instability. Businesses in practically every industry suffered from lengthy periods of low — and falling — profit rates and price deflation after 1873. By the 1870s, financial houses in London had achieved an unprecedented level of control over industry. This contributed to increasing concerns among policy-makers over the protection of British investments overseas — particularly those in the securities of foreign governments and in foreign-government-backed development activities, such as railways. Although it had been official British policy to support such investments, with the large expansion of these investments in the 1860s, and the economic and political instability of many areas of investment (such as Egypt), calls upon the government for methodical protection became increasingly pronounced in the years leading up to the Crystal Palace Speech. At the end of the Victorian era, the service sector (banking, insurance and shipping, for example) began to gain prominence at the expense of manufacturing. During the late 18th century the United Kingdom experienced stronger increases in the service sector than in the industrial sector; industry grew by only 2 per cent, whereas the service sector employment increased by 9 per cent. Foreign trade tripled in volume between 1870 and 1914; most of the activity occurred with other industrialised countries. Britain ranked as the world's largest trading nation in 1860, but by 1913 it had lost ground to both the United States and Germany: British and German exports in that year each totalled $2.3 billion, and those of the United States exceeded $2.4 billion. As foreign trade increased, so in proportion did the amount of it going outside the Continent. In 1840, £7.7 million of its export and £9.2 million of its import trade was done outside Europe; in 1880 the figures were £38.4 million and £73 million. Europe's economic contacts with the wider world were multiplying, much as Britain's had been doing for years. In many cases, colonial control followed private investment, particularly in raw materials and agriculture. Intercontinental trade between North and South constituted a higher proportion of global trade in this era than in the late 20th century period of globalisation. London strengthened its position as the world's financial capital, the export of capital was a major base of the British economy 1880 to 1913, the "golden era" of international finance. Investment was especially heavy in the independent nations of Latin America, which were eager for infrastructure improvements such as railways built by the British, ports, and telegraph and telephone systems. British merchants dominated trade in the region. Not all the investments paid off; the mines in the Sudan, for example, lost money. By 1913 Britain's overseas assets totaled about four billion pounds. Britain persisted in its free trade policy even as its major rivals, the U.S. and Germany, turned to high tariffs (as did Canada). American heavy industry grew faster than Britain, and by the 1890s was crowding British machinery and other products out of the world market. New business practices in the areas of management and accounting made possible the more efficient operation of large companies. For example, in steel, coal, and iron companies 19th-century accountants utilized sophisticated, fully integrated accounting systems to calculate output, yields, and costs to satisfy management information requirements. South Durham Steel and Iron, was a large horizontally integrated company that operated mines, mills, and shipyards. Its management used traditional accounting methods with the goal of minimizing production costs, and thus raising its profitability. By contrast one of its competitors, Cargo Fleet Iron introduced mass production milling techniques through the construction of modern plants. Cargo Fleet set high production goals and developed an innovative but complicated accounting system to measure and report all costs throughout the production process. However, problems in obtaining coal supplies and the failure to meet the firm's production goals forced Cargo Fleet to drop its aggressive system and return to the sort of approach South Durham Steel was using. The American "invasion" of the British home market demanded a response. Tariffs, although increasingly under consideration, were not imposed until the 1930s. Therefore, British businessmen were obliged to lose their market or else rethink and modernize their operations. The boot and shoe industry faced increasing imports of American footwear; Americans took over the market for shoe machinery. British companies realized they had to meet the competition so they re-examine their traditional methods of work, labour utilization, and industrial relations, and to rethink how to market footwear in terms of the demand for fashion. After the loss of the American colonies in 1776, Britain built a "Second British Empire", based in colonies in India, Asia, Australia, Canada. The crown jewel was India, where in the 1750s a private British company, with its own army, the East India Company (or "John Company"), took control of parts of India. The 19th century saw Company rule extended across India after expelling the Dutch, French and Portuguese. By the 1830s the Company was a government and had given up most of its business in India, but it was still privately owned. Following the Indian Rebellion of 1857 the government closed down the Company and took control of British India and the Company's Presidency Armies. Free trade (with no tariffs and few trade barriers) was introduced in the 1840s. Protected by the overwhelming power of the Royal Navy, the economic empire included very close economic ties with independent nations in Latin America. The informal economic empire has been called "The Imperialism of Free Trade." 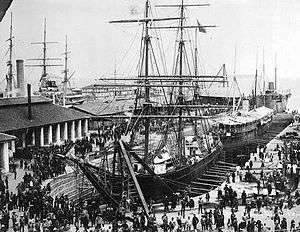 Singapore docks in the 1890s. Numerous independent entrepreneurs expanded the Empire, such as Stamford Raffles of the East India Company who founded the port of Singapore in 1819. Businessmen eager to sell Indian opium in the vast China market led to the Opium War (1839–1842) and the establishment of British colonies at Hong Kong. One adventurer, James Brooke, set himself up as the Rajah of the Kingdom of Sarawak in North Borneo in 1842; his realm joined the Empire in 1888. Cecil Rhodes set up an economic empire of diamonds in South Africa that proved highly profitable. There were great riches in gold as well but this venture led to expensive wars with the Dutch settlers known as Boers. The possessions of the East India Company in India, under the direct rule of the Crown from 1857 —known as British India— was the centrepiece of the Empire, and because of an efficient taxation system it paid its own administrative expenses as well as the cost of the large British Indian Army. In terms of trade, however, India turned only a small profit for British business. There was pride and glory in the Empire, as the most talented young Britons vied for positions in the Indian Civil Service and for similar oversees career opportunities. The opening of the Suez Canal in 1869 was a vital economic and military link. To protect the canal, Britain expanded further, taking control of Egypt, the Sudan, Uganda, Kenya, Cyprus, Palestine, Aden, and British Somaliland. None were especially profitable until the discovery of oil in the Middle East after 1920. Some military action was involved, and from time to time there was a risk of conflict with other imperial powers seeking the same territory, as in the Fashoda Incident of 1898. All the incidents were resolved peacefully. Cain and Hopkins argue that the phases of expansion abroad were closely linked with the development of the domestic economy. Therefore, the shifting balance of social and political forces under imperialism and the varying intensity of Britain's economic and political rivalry with other powers need to be understood with reference to domestic policies. Gentlemen capitalists, representing Britain's landed gentry and London's service sectors and financial institutions, largely shaped and controlled Britain's imperial enterprises in the 19th and early 20th centuries. Industrial leaders played a lesser role and found themselves dependent on the gentlemen capitalists. By 1900, the United States and Germany had developed large-scale industries; Britain's comparative economic advantage had lessened. London did remain the financial and entrepreneurial capital of the world, until challenged by New York after 1918. The Edwardian era (1901-1910) stands out as a time of peace and plenty. There were no severe depressions and prosperity was widespread. Britain's growth rate, manufacturing output, and GDP (but not per capita) fell behind its rivals the United States, and Germany. Nevertheless, the nation still led the world in trade, finance and shipping, and had strong bases in manufacturing and mining. The industrial sector was slow to adjust to global changes, and there was a striking preference for leisure over entrepreneurship among the elite. However major achievements should be underlined. The City was the financial centre of the world—far more efficient and wide-ranging than New York, Paris or Berlin. Britain had built up a vast reserve of overseas credits in its formal Empire, as well as in its informal empire in Latin America and other nations. It had huge financial holdings in the United States, especially in railways. These assets proved vital in paying for supplies in the first years of the World War. The amenities, especially in urban life, were accumulating – prosperity was highly visible. The working classes were beginning to protest politically for a greater voice in government, but the level of industrial unrest on economic issues was not high until about 1908. The First World War saw a decline of economic production, with a major reallocation to munitions. It forced Britain to use up its financial reserves and borrow large sums from the U.S. Shipments of American raw materials and food allowed Britain to feed itself and its army while maintaining her productivity. The financing was generally successful, as the City's strong financial position minimized the damaging effects of inflation, as opposed to much worse conditions in Germany. Overall consumer consumption declined 18% from 1914 to 1919. Trade unions were encouraged as membership grew from 4.1 million in 1914 to 6.5 million in 1918, peaking at 8.3 million in 1920 before relapsing to 5.4 million in 1923. In Scotland, the shipbuilding industry expanding by a third. Women were available and many entered munitions factories and took other home front jobs vacated by men. The human and material losses of the World War in Britain were enormous. They included 745,000 servicemen killed and 24,000 civilians, with 1.7 million wounded. The total of lost shipping came to 7.9 million tons (much of it replaced by new construction), and £7,500 million in financial costs to the Empire. Germany owed billions in reparations, but Britain in turn owed the U.S. billions in loan repayments. With the end of war orders, a serious depression hit the economy by 1921-22.Factors explaining the economic depression are on one hand the return to prewar gold standard at parity or upcoming structural problems to the northern industrial core of the UK. Indeed, the whole decade was one of stagnation The most skilled craftsmen were especially hard hit, because there were few alternative uses for their specialised skills. In depressed areas the main social indicators such as poor health, bad housing, and long-term mass unemployment, pointed to terminal social and economic stagnation at best, or even a downward spiral. The heavy dependence on obsolescent heavy industry and mining was a central problem, and no one offered workable solutions. The despair reflected what Finlay (1994) describes as a widespread sense of hopelessness that prepared local business and political leaders to accept a new orthodoxy of centralised government economic planning when it arrived during the Second World War. In 1919 Britain reduced the working hours in major industries to a 48-hour week for industrial workers. Historians have debated whether this move depressed labour productivity and contributed to the slump. Scott and Spadavecchia argue that productivity was in some ways enhanced, especially through higher hourly productivity, and that Britain did not suffer in its exports because most other nations also reduced working hours. Looking at coal, cotton, and iron and steel, they find that Britain did not suffer any significant relative productivity loss in these industries. 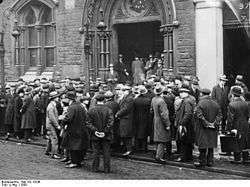 By 1921, more than 3 million Britons were unemployed as a result of the postwar economic downturn. By 1926, the economy was still struggling, the general strike of that year doing it no favours. Industrial relations briefly improved, but then came the Wall Street stock market crash in October 1929, which sparked the worldwide Great Depression. See the Great Depression in the United Kingdom. Unemployment had stood at less than 1.8 million at the end of 1930, but by the end of 1931 it had risen sharply to more than 2.6 million. By January 1933, more than 3 million Britons were unemployed, accounting for more than 20% of the workforce - with unemployment topping 50% in some parts of the country, particularly in South Wales and the north-east of England. The rest of the 1930s saw a moderate economic recovery stimulated by private housing. The rate of unemployment fell to 10% in 1938 - half of the level five years previously. From 1800 to 1870 Britain produced more than half of the world's pig iron, and was in the lead in devising ways to make steel. In 1880 Britain produced 1.3 million tons of steel, and in 1893 3 million tons; by 1914 output was 8 million tons. Germany caught up in 1893 and produced 14 million tons in 1914. After 1900 the U.S. dominated global steel production, while the British industry languished. Britain's steel industry brought in academic experts, such as Professor Oliver Arnold to analyse and make recommendations for improvements in productivity. The industry made significant technical advances in terms of vanadium, phospho-magnetic steels and other specialized high-strength alloys, using the electric furnace and other innovations, the devising of new techniques over the smoke issue. The industry trained a cadre of experts that made large firms scientifically self-sustaining. Politics became a central issue for the coal miners, whose organization was facilitated by their location in remote one-industry villages. The Miners' Federation of Great Britain formed in 1888, and counted 600,000 members in 1908. Much of the 'old left' of Labour politics can trace its origins to coal-mining areas. In April 1926 the owners locked out the miners because they had rejected the owners' demands for longer hours and reduced pay in the face of falling prices caused by demand as oil started to replace coal. The general strike was led by the TUC for the benefit of coal miners, but it failed. It was a nine-day nationwide walkout of one million railwaymen, transport workers, printers, dockers, ironworkers and steelworkers supporting the 1.5 million coal miners who had been locked out. The government had provided a nine-month subsidy in 1925 but that was not enough to turn around a sick industry. The TUC hope was the government would intervene to reorganize and rationalize the industry, and raise the subsidy. The Conservative government had stockpiled supplies and essential services continued with middle class volunteers. All three major parties opposed the strike. The general strike itself was largely non-violent, but the miners' lockout continued and there was violence in Scotland. It was the only general strike in British history and TUC leaders such as Ernest Bevin considered it a mistake. Most historians treat it as a singular event with few long-term consequences, but Pugh says it accelerated the movement of working-class voters to the Labour Party, which led to future gains. The Trade Disputes and Trade Unions Act 1927 made general strikes illegal and ended the automatic payment of union members to the Labour Party. That act was largely repealed in 1946. Coal continued as a sick industry as the best seams were used up and it became more and more difficult to mine the rest. The Labour government in 1947 nationalized coal into the National Coal Board, giving miners access to control of the mines via their control of the Labour party and the government. By then, however, the best seams had played out and coal mining was headed downward. Coal production was 50 million metric tons in 1850, 149 million in 1880, 269 million in 1910, 228 million in 1940, and 153 million in 1970. The peak year was 1913, with an output of 292 million tons. Mining employed 383,000 men in 1851, 604,000 in 1881, and 1,202,000 in 1911. In 1929, the Wall St Crash affected Britain resulting in it leaving the Gold Standard. Whereas Britain had championed the concept of the free market when it was ascendant in the world economy, it gradually withdrew to adopting Tariff Reform as a measure of protectionism. By the early 1930s, the depression again signalled the economic problems the British economy faced. Unemployment soared during this period; from just over 10% in 1929 to more than 20% (or more than 3 million of the workforce) by early 1933. However, it had fallen to 13.9% by the start of 1936. In political terms, the economic problems found expression in the rise of radical movements who promised solutions which conventional political parties were no longer able to provide. In Britain this was seen with the rise of the Communist Party of Great Britain (CPGB) and the Fascists under Oswald Mosley. However, their political strength was limited and they never posed any real threat to the conventional political parties in the UK, with the Conservatives returning to power in 1935 after six years of the first Labour-led government under Ramsay Macdonald. Tourism grew rapidly in the interwar years because of the rapidly rising number of motorized middle-class and lower-middle-class holidaymakers. Seaside resorts like Blackpool, Brighton and Skegness were particularly popular. However, those tourist sites that catered to the very wealthy or to American tourists, or were located in depressed areas, all experienced a decline in profits, especially during the Great Depression. In the Second World War, 1939–45, Britain had a highly successful record of mobilizing the home front for the war effort, in terms of mobilizing the greatest proportion of potential workers, maximizing output, assigning the right skills to the right task, and maintaining the morale and spirit of the people. Much of this success was due to the systematic planned mobilization of women, as workers, soldiers, and housewives, enforced after December 1941 by conscription. The women supported the war effort, and made the rationing of consumer goods a success. After war broke out between Britain and Germany in September 1939, Britain imposed exchange controls. The British Government used its gold reserves and dollar reserves to pay for munitions, oil, raw materials and machinery, mostly from the U.S. By the third quarter of 1940 the volume of British exports was down 37% compared to 1935. Although the British Government had committed itself to nearly $10,000 million of orders from America, Britain's gold and dollar reserves were near exhaustion. The Roosevelt Administration was committed to large-scale economic support of Britain and in early 1941 enacted Lend-Lease, whereby America would give Britain supplies totalling $31.4 billion which never had to be repaid. 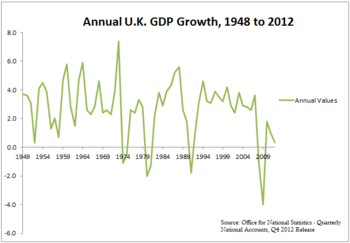 This graph depicts annual U.K. GDP growth from 1948 to 2012. In the 1945 general election, just after the end of the war in Europe, the Labour Party led by Clement Attlee was elected with a landslide majority (its first ever outright majority), introducing sweeping reforms of the British economy. Taxes were increased, industries were nationalised, and a welfare state with national health, pensions, and social security was created. The next 15 years saw some of the most rapid growth Britain had ever experienced, recovering from the devastation of the Second World War and then expanding rapidly past the previous size of the economy. The economy went from strength to strength particularly after the Conservatives returned to government in 1951, still led by wartime leader Sir Winston Churchill until he retired to make way for Anthony Eden just before his party's re-election in 1955. However, the Suez crisis of 1956 weakened the government's reputation and Britain's global standing, and prompted Eden to resign in early 1957 to be replaced by Harold Macmillan. By 1959, tax cuts had helped boost living standards and allow for a strong economy and low unemployment, with October 1959 seeing the Tories win their third consecutive general election with a greatly increased majority, which sparked public and media doubt regarding Labour's chances of future election success. Britain's economy remained strong with low unemployment into the 1960s, but towards the end of the decade this growth began to slow and unemployment was rising again. Harold Wilson, the Labour leader who had ended 13 years of Conservative rule with a narrow victory in 1964 before increasing his majority in 1966, was surprisingly voted out of power in 1970. The new Conservative government was led by Edward Heath. During the 1970s Britain suffered a long running period of relative economic malaise, dogged by rising unemployment, frequent strikes and severe inflation, with neither the Conservative government of 1970-1974 (led by Edward Heath) nor the Labour government which succeeded it (led by Harold Wilson and from 1976 James Callaghan) being able to halt the country's economic decline. Inflation exceeded 20% twice during the 1970s and was rarely below 10%. Unemployment exceeded 1 million by 1972 and had risen even higher by the time the end of the decade was in sight, passing the 1.5 million mark in 1978. The winter of 1978/79 brought a series of public sector strikes known as the Winter of Discontent, leading to the collapse of Callaghan's Labour government in March 1979 (two years after it had lost the three-seat parliamentary majority won in October 1974). This led to the election of Margaret Thatcher, who had succeeded Edward Heath as Conservative leader in 1975. She cut back on the government's role in the economy and weakened the power of the trade unions. The final two decades of the 20th century saw an increase in service-providers and a drop in manufacturing and heavy industry, combined with privatisation of some sections of the economy. This change has led some to describe this as a 'Third Industrial Revolution', though this term is not widely used. Immediately after the war in the Pacific had ended, the U.S. halted free Lend-Lease, but did give the UK a long-term low-interest loan of USD 4.33bn. The winter of 1946–1947 proved to be very harsh curtailing production and leading to shortages of coal which again affected the economy so that by August 1947, when convertibility was due to begin, the economy was not as strong as it needed to be. When the Labour Government enacted convertibility, there was a run on Sterling, meaning that Sterling was being traded in for dollars, seen as the new, more powerful and stable currency in the world. This damaged the British economy and within weeks it was stopped. By 1949, the British pound was over valued and had to be devalued. The U.S. began Marshall Plan grants (mostly grants with a few loans) that pumped $3.3 billions into the economy and forced businessmen to modernize their approach to management. The concept of nationalizing the coal mines had been accepted in principle by owners and miners alike before the elections of 1945. The owners were paid £165,000,000. The government set up the National Coal Board to manage the coal mines; and it loaned it £150,000,000 to modernize the system. The general condition of the coal industry had been unsatisfactory for many years, with poor productivity. In 1945 there were 28% more workers in the coal mines than in 1890, but the annual output was only 8% greater. Young people avoided the pits; between 1931 and 1945 the percentage of miners more than 40 years old rose from 35% to 43%, and 24,000 over 65 years old. The number of surface workers decreased between 1938 and 1945 by only 3,200, but in that same time the number of underground workers declined by 69,600, substantially altering the balance of labour in the mines. That accidents, breakdowns, and repairs in the mines were nearly twice as costly in terms of production in 1945 as they had been in 1939 was probably a by-product of the war. Output in 1946 averaged 3,300,000 tons weekly. By summer 1946 it was clear that the country was facing a coal shortage for the upcoming winter with stock piles of 5 million tons too low. Nationalization exposed both a lack of preparation for public ownership and a failure to stabilize the industry in advance of the change. Also lacking were any significant incentives to maintain or increase coal production to meet demand. During 1955, unemployment reached a postwar low of just over 215,000 - barely 1% of the workforce. The loss of the Empire and the material losses incurred through two world wars had affected the basis of Britain’s economy. First, its traditional markets were changing as Commonwealth countries made bilateral trade arrangements with local or regional powers. Second, the initial gains Britain made in the world economy were in relative decline as those countries whose infrastructure was seriously damaged by war repaired these and reclaimed a stake in world markets. Third, the British economy changed structure shifting towards a service sector economy from its manufacturing and industrial origins leaving some regions economically depressed. Finally, part of consensus politics meant support of the Welfare State and of a world role for Britain; both of these needed funding through taxes and needed a buoyant economy in order to provide the taxes. As these factors coalesced during the 1960s, the slogan used by Prime Minister Harold Macmillan "(most of) our people have never had it so good" seemed increasingly hollow. The Conservative Government presided over a ‘stop-go’ economy as it tried to prevent inflation spiralling out of control without snuffing out economic growth. Growth continued to struggle, at about only half the rate of that of Germany or France at the same time. However, industry had remained strong in nearly 20 years following the end of the war, and extensive housebuilding and construction of new commercial developments and public buildings also helped unemployment stay low throughout this time. The Labour Party under Harold Wilson from 1964–1970 was unable to provide a solution either, and eventually was forced to devalue the Pound again in 1967. Economist Nicholas Crafts attributes Britain's relatively low growth in this period to a combination of a lack of competition in some sectors of the economy, especially in the nationalised industries; poor industrial relations and insufficient vocational training. He writes that this was a period of government failure caused by poor understanding of economic theory, short-termism and a failure to confront interest groups. Both political parties had come to the conclusion that Britain needed to enter the European Economic Community (EEC) in order to revive its economy. This decision came after establishing a European Free Trade Association (EFTA) with other, non EEC countries since this provided little economic stimulus to Britain’s economy. Levels of trade with the Commonwealth halved in the period 1945–1965 to around 25% while trade with the EEC had doubled during the same period. Charles de Gaulle vetoed a British attempt at membership in 1963 and again in 1967. The general election in June 1970 saw the Conservatives, now led by Edward Heath, achieve a surprise return to government after the opinion polls had suggested a third successive Labour victory. Unemployment was still low by this stage, standing at 3% nationally. However, with the decline of Britain’s economy during the 1960s, the trade unions began to strike, leading to a complete breakdown with both the Labour Government of Harold Wilson and later with the Conservative Government of Edward Heath (1970–1974). In the early 1970s, the British economy suffered even more as strike action by trade unions, plus the effects of the 1973 oil crisis, led to a three-day week in 1973-74. However, despite a brief period of calm negotiated by the recently re-elected Labour Government of 1974 known as the Social Contract, a breakdown with the unions occurred again in 1978, leading to the Winter of Discontent, and eventually leading to the end of the Labour Government, then being led by James Callaghan, who had succeeded Wilson in 1976. The extreme industrial strife along with rising inflation and unemployment led Britain to be nicknamed as the "sick man of Europe". Unemployment had also risen during this difficult period for the British economy; unemployment reached 1.5million in 1978 - nearly treble the figure of a decade earlier, with the national rate exceeding 5% for the first time in the postwar era. It had not fallen below 1 million since 1975, and has remained above this level ever since, rarely dropping below 1.5 million. Also in the 1970s, oil was found in the North Sea, off the coast of Scotland, although its contribution to the UK economy was minimised by the need to pay for rising national debt and for welfare payments to the growing number of unemployed people. The election of Margaret Thatcher in 1979 marked the end of the post-war consensus and a new approach to economic policy, including privatisation and deregulation, reform of industrial relations, and tax changes. Competition policy was emphasised instead of industrial policy; consequent deindustrialisation and structural unemployment was more or less accepted. Thatcher's battles with the unions culminated in the Miners' Strike of 1984. The Government applied monetarist policies to reduce inflation, and reduced public spending. Deflationary measures were implemented against the backdrop of the recession of 1980/81. As a result, unemployment passed 2 million in the autumn of 1980, 2.5 million the following spring. By January 1982, unemployment had reached 3 million for the first time since the early 1930s, though this time the figure accounted for a lesser percentage of the workforce than the early 1930s figures, now standing at around 12.5% rather than in excess of 20%. In areas hit particularly hard by the loss of industry, unemployment was much higher; coming close to 20% in Northern Ireland and exceeding 15% in many parts of Wales, Scotland and northern England. The peak of unemployment actually came some two years after the recession ended and growth had been re-established, when in April 1984 unemployment stood at just under 3.3 million. In the words of one eminent British historian, Thatcher oversaw an "industrial holocaust", which saw Britain's industrial capacity decrease by fully one quarter during the years 1980–84. Major state-controlled firms were privatised, including British Aerospace (1981), British Telecom (1984), British Leyland (1984), Rolls-Royce (1987), and British Steel Corporation (1988). The electricity, gas and English water industries were split up and sold off. Exchange controls, in operation since the war, were abolished in 1979. British net assets abroad rose approximately ninefold from £12 billion at the end of 1979 to nearly £110 billion at the end of 1986, a record post-war level and second only to Japan. Privatisation of nationalised industries increased share ownership in Britain: the proportion of the adult population owning shares went up from 7% in 1979 to 25% in 1989. The Single European Act (SEA), signed by Margaret Thatcher, allowed for the free movement of goods within the European Union area. The ostensible benefit of this was to give the spur of competition to the British economy, and increase its ultimate efficiency. The early 1980s recession saw unemployment rise above three million, but the subsequent recovery, which saw annual growth of over 4 per cent in the late 1980s, led to contemporary claims of a British 'economic miracle'. There is significant controversy as to whether Thatcherism was the reason for the boom in Britain in the 1980s; North Sea oil has been identified as the major factor in the increases in economic growth in the mid and late 1980s. However, many of the economic policies put in place by the Thatcher governments have been kept since, and even the Labour Party which had once been so opposed to the policies had by the late 1990s, on its return to government after nearly 20 years in opposition, dropped all opposition to them. By the end of 1986, Britain was in the first stages of an economic boom, which saw unemployment fall below 3 million and reach a 10-year low of 1.6 million by December 1989. However, the rate of economic growth slowed down in 1989, with inflation approaching 10% and fears of an imminent recession being rife in the national media. Interest rates were increased by the government in an attempt to control inflation. In November 1990, Margaret Thatcher stood down from the office of Prime Minister after losing first the confidence and then the support in Parliament of the Conservative Party's MPs, which she needed in order to continue. John Major was elected her successor. The government's popularity was also falling following the introduction of poll tax earlier that year, while unemployment was also starting to increase again as another recession loomed. Opinion polls were suggesting that the next general election could be won by Labour, led by Neil Kinnock since the resignation of Michael Foot in 1983. Despite several major economies showing quarterly detraction during 1989, the British economy continued to grow well into 1990, with the first quarterly detraction taking place in the third quarter of the year, by which time unemployment was starting to creep upwards again after four years of falling. The beginning of another recession was confirmed in January 1991. Interest rates had been increased between 1988 and 1990 to control inflation, which topped 10% in 1990 but was below 3% by the end of 1992. Economic growth was not re-established until early 1993, but the Conservative government which had been in power continuously since 1979 managed to achieve re-election in April 1992, fending off a strong challenge from Neil Kinnock and Labour, although with a significantly reduced majority. The early 1990s recession was officially the longest in Britain since the Great Depression some 60 years earlier, though the fall in output was not as sharp as that of the downturn of the Great Depression or even that of the early 1980s recession. It had started during 1990 and the end of the recession was not officially declared until April 1993, by which time nearly 3 million people were unemployed. The British pound was tied to EU exchange rates, using the Deutsche Mark as a basis, as part of the Exchange Rate Mechanism (ERM); however, this resulted in disaster for Britain. The restrictions imposed by the ERM put pressure on the pound, leading to a run on the currency. Black Wednesday in September 1992 ended British membership of the ERM. It also damaged the credibility of the Conservative's reputation for economic competence, and contributed to the end of the 18 years of consecutive Conservative government in 1997. The party had long been divided over European issues and many of these rifts within the party had still not been mended by 1997. Despite the downfall of the Conservative government, it had seen a strong economic recovery in which unemployment had fallen by more than 1 million since the end of 1992 to 1.7 million by the time of their election defeat just over four years later. Inflation also remained low, with the ERM exit in 1992 being followed by a gradual decrease in interest rates during the years that followed. From May 1997, Tony Blair's newly elected Labour government stuck with the Conservatives' spending plans. The Chancellor, Gordon Brown, gained a reputation by some as the "prudent Chancellor" and helped to inspire renewed confidence in Labour's ability to manage the economy following the economic failures of earlier Labour governments. One of the first acts that the new Labour government embarked on was to give the power to set interest rates to the Bank of England, effectively ending the use of interest rates as a political tool. Control of the banks was given to the Financial Services Agency. Labour also introduced the minimum wage to the United Kingdom, which has been raised every year since its introduction in April 1999. The Blair government also introduced a number of strategies to cut unemployment, including an expansion of the public sector. Unemployment was constantly below 1.5 million during the first half of the 2000s - a level not seen since the late 1970s, although the government never succeeded in getting unemployment back into the six figure tallies which were seen for most of the 30 years after the end of World War II. In the Labour Party's second term in office, beginning in 2001, when it achieved another landslide victory, the party increased taxes and borrowing. The government wanted the money to increase spending on public services, notably the National Health Service, which they claimed was suffering from chronic under-funding. The economy shifted from manufacturing, which had been declining since the 1960s and grew on the back of the services and finance sectors, while the public sector continued to expand. The country was also at war with first Afghanistan, invading in 2001 and then Iraq, in 2003 - which proved controversial with the British public. Spending on both reached several billion pounds a year and the government's popularity began to slide, although it did manage to win a third general election under Blair in 2005 with a reduced majority. Blair stepped down two years later after a decade as prime minister to be succeeded by the former chancellor Gordon Brown, the change of leader coming at a time when Labour was starting to lag behind the Conservatives (now led by David Cameron) in the opinion polls. By this stage, unemployment had increased slightly to 1.6 million although the economy continued to grow, the UK was continuing to lose large numbers of manufacturing jobs due to companies encountering financial problems or switching production overseas to save labour costs. This was particularly evident in the car industry, with General Motors (Vauxhall) and Ford having significantly cut back on UK operations, while Peugeot (the French carmaker who had bought the former Rootes Group and Chrysler Europe operations in the late 1970s) had completely withdrawn from Britain. These closures resulted in thousands of job losses, although the biggest single blow to the car industry came in 2005 when MG Rover went into liquidation; more than 6,000 jobs were lost at the carmaker alone and some 20,000 more were lost in associated supply industries and dealerships, not to mention the business failures and job cuts which befell businesses that had relied largely on trade from the carmaker's employees. This was the largest collapse of any European carmaker in modern times. Growth rates were consistently between 1.6% and 3% from 2000 to early 2008. Inflation though relativity steady at around 2%, did rise in the approach to the financial crash. The Bank of England's control of interest rates was a major factor in the stability of the British economy over that period. The pound continued to fluctuate, however, reaching a low against the dollar in 2001 (to a rate of $1.37 per £1), but rising again to a rate of approximately $2 per £1 in 2007. Against the Euro, the pound was steady at a rate of approximately €1.45 per £1. Since then, the effects of the Credit crunch have led to a slowdown of the economy. At the start of November 2008, for example, the pound was worth around €1.26; by the end of the year, it had almost approached parity, dropping at one point below €1.02 and ending the year at €1.04. The UK entered a recession in Q2 of 2008, according to the UK Office for National Statistics (ONS) and exited it in Q4 of 2009. The revised ONS figures of November 2009 showed that the UK had suffered six consecutive quarters of contraction. On 23 January 2009, Government figures from the Office for National Statistics showed that the UK was officially in recession for the first time since 1991. It entered a recession in the final quarter of 2008, accompanied by rising unemployment which increased from 5.2% in May 2008 to 7.6% in May 2009. The unemployment rate among 18- to 24-year-olds has risen from 11.9% to 17.3%. Though initially Britain lagged behind other major economies including Germany, France, Japan, and the US which all returned to growth in the second quarter of 2009, the country eventually returned to growth in the last quarter of 2009. On 26 January 2010, it was confirmed that the UK had left its recession, the last major economy in the world to do so. In the 3 months to February 2010 the UK economy grew yet again by 0.4%. In Q2 of 2010 the economy grew by 1.2% the fastest rate of growth in 9 years. In Q3 of 2010 figures released showed the UK economy grew by 0.8%; this was the fastest Q3 growth in 10 years. On 5 March 2009, the Bank of England announced that they would pump £200 billion of new capital into the British economy, through a process known as quantitative easing. This is the first time in the United Kingdom's history that this measure has been used, although the Bank's Governor Mervyn King suggested it was not an experiment. The process will see the BoE creating new money for itself, which it will then use to purchase assets such as government bonds, bank loans, or mortgages. Despite the misconception that quantitative easing involves printing money, the BoE are unlikely to do this and instead the money will be created electronically and thus not actually enter the cash circulation system. The initial amount to be created through this method will be £75 billion, although former Chancellor of the Exchequer Alistair Darling had given permission for up to £150 billion to be created if necessary. It is thought the process is likely to occur over a period of three months with results only likely in the long term. The BoE has stated that the decision has been taken to prevent the rate of inflation falling below the two percent target rate. Mervyn King, the Governor of the BoE, also suggested there were no other monetary options left as interest rates had already been cut to their lowest level ever of 0.5% and it was unlikely they would be cut further. As of the end of November 2009, the economy had shrunk by 4.9%, making the 2008–2009 recession the longest since records began. In December 2009, the Office for National Statistics revised figures for the third quarter of 2009 showed that the economy shrank by 0.2%, compared to a 0.6% fall the previous quarter. It has been suggested that the UK initially lagged behind its European neighbours because the UK entered the 2008 recession later. However, German GDP fell 4.7% year on year compared to the UK's 5.1%, and Germany has now posted a second quarterly gain in GDP. Commentators suggest that the UK suffered a slightly longer recession than other large European countries as a result of government policy dating back to the policies of the Thatcher government of 1979, in which UK governments have moved away from supporting manufacturing and focused on the financial sector. The OECD predicts that the UK will grow 1.6% in 2010. The unemployment rate recorded by the Labour Force Survey fell in the fourth quarter of 2009, the first of the big 3 economies in the EU to do so. Gross Domestic Product (GDP) decreased by a (second revision) figure of 0.2% in the third quarter of 2009, after a decrease of 0.6% in the second quarter, according to the Office for National Statistics (ONS). There was a 2.4% decline in the first quarter of 2009. The economy has now contracted 5.9% from its peak before the recession began, the BBC reports. In October 2007, the International Monetary Fund (IMF) had forecast British GDP to grow by 3.1% in 2007 and 2.3% in 2008. However, GDP growth slowed to a fall of 0.1% in the April–June (second) quarter of 2008 (revised down from zero). In September 2008, the OECD forecast contraction for at least two quarters for the UK economy, possibly severe, placing its predicted performance last in the G7 of leading economies. Six quarters later the UK economy was still contracting, placing a question mark over OECD forecasting methods. It has been argued that heavy government borrowing over the past cycle has led to a severe structural deficit, reminiscent of previous crises, which will inevitably exacerbate the situation and place the UK economy in an unfavourable position compared to its OECD partners as attempts are made to stimulate recovery, other OECD nations having allowed greater room for manoeuvre thanks to contrasting policies of relatively tighter fiscal control prior to the global downturn. In May 2009 the European Commission (EC) stated: "The UK economy is now clearly experiencing one of its worst recessions in recent history." The EC expected GDP to decline 3.8pc in 2009 and projected that growth will remain negative for the first three quarters of 2009. It predicted two quarters of "virtual stagnation" in late 2009 and early 2010, followed by a gradual return to "slight positive growth by late 2010". The FTSE 100 and FTSE 250 rose to their highest levels in a year on 9 September 2009 with the FTSE 100 breaking through 5,000 and the FTSE 250 breaking through 9,000. On 8 September the National Institute of Economic and Social Research believed that the economy had grown by 0.2% in the three months to August, but was proved wrong. In its eyes the UK recession was officially over, although it did warn that "normal economic conditions" had not returned. On the same day, figures also showed UK manufacturing output rising at its fastest rate in 18 months in July. On 15 September 2009 the EU incorrectly predicted the UK is expected to grow by 0.2% between July and September, on the same day the governor of the Bank of England, Mervyn King said the UK GDP is now growing. Unemployment has recently fallen in Wales. Many commentators in the UK were certain that the UK would leave recession officially in Q3, believing that all the signs showed that growth was extremely likely, although in fact government spending had been insufficient to rescue the economy from recession at that point. Figures in fact showed no growth in retail sales in September 2009, and a 2.5% decline in industrial output in August. The revised UK figures confirmed that the economy shrank in Q3 of 2009 by 0.2%, although government spending on cash for the car scrappage scheme helped. The car scrappage scheme enabled owners of cars at least 10 years old to buy a new car at a reduced price in return for having their old car scrapped, and proved very popular with motorists. Yet this temporary lapse was followed by a solid 0.4% growth in the Q4. UK manufacturers' body, the EEF, appealed for more cash from the government: "Without an extension of support for business investment in the pre-Budget statement next month, it will be difficult to see where the momentum for growth will come from." The downturn in the economy during 2008 and 2009 saw the popularity of the Labour government slump, and opinion polls all showed the Conservatives in the lead during this time, although by early 2010 the gap between the parties was narrow enough to suggest that the imminent general election would result in a hung parliament - as happened in May 2010. The Conservatives had the largest number of seats in the election, 20 short of a majority, and formed a government in coalition with the Liberal Democrats. The new government was faced with having to make deep public spending cuts over the following years in order to tackle the high level of national debt which had mounted up during Labour's time in government, which meant that unemployment remained high and the economy struggled to re-establish growth, although a marked improvement finally occurred in 2013 when economic growth and falling unemployment were sustained. Moody's gave the UK an AAA credit rating in September 2010, forecasting stable finances largely driven by governmental action. It also reported that the economy is flexible to grow in the future and that household debts and poor exports were large growth-reducing factors, as well as its financial sector. Subsequent to that, the economy contracted in 5 of the next 7 quarters, thus ensuring zero net growth from the end of the recession at the end of 2009, through to the middle of 2012. In 2010 the economy picked up and growing steadily however the in summer the euro-zone crisis centred on Greece led to second slow down in all European countries. The euro-zone entered a double dip recession that lasted from Q1 2011 until Q2 2013, and while the UK had no double dip recession it did however experience stagnant growth. While the first half of 2012 saw inflationary pressures subside and business confidence increase, a number of fundamental weaknesses remain, most notably a decline in the productivity of British business. From 2Q 2013, the UK's economy continued to grow for five consecutive quarters, the longest since Q1 of 2008, showing growth beating most developed economies helped by the rebound in the housing market and strong growth in both manufacturing and services industries. The IMF increased UK growth forecasts for 2014 from 1.9% to 2.4% in January 2014. Subsequently, inflation dropped to a low of 1.6% in Q1 2014., unemployment dropped to 6.8% (the lowest level since 2009) with impressive growth in employment leading to an all-time high of 30.4 million. The UK government posted a £107.6 billion national deficit for the fiscal year ending March 2014, meeting the target of £107.7 billion set a month previously. This was especially impressive since many countries in the EU, more specifically in the Euro, were stagnating such as France and Italy. However, it has been argued that the economic recovery is not reaching the majority of the people in the country, with wage growth not keeping up with inflation, however in 2014 it improved with wage growth outpacing inflation for the first time after six years. Business History in Britain emerged in the 1950s following the publication of a series of influential company histories and the establishment of the journal Business History in 1958 at the University of Liverpool. The most influential of these early company histories was Charles Wilson (historian)’s History of Unilever, the first volume of which was published in 1954. Other examples included Coleman’s work on Courtaulds and artificial fibres, Alford on Wills and the tobacco industry, Barker on Pilkington’s and glass manufacture. These early studies were conducted by primarily by economic historians interested in the role of leading firms in the development of the wider industry, and therefore went beyond mere corporate histories. Although some work examined the successful industries of the industrial revolution and the role of the key entrepreneurs, in the 1970s scholarly debate in British business history became increasingly focused on economic decline. For economic historians, the loss of British competitive advantage after 1870 could at least in part be explained by entrepreneurial failure, prompting further business history research into individual industry and corporate cases. The Lancashire cotton textile industry, which had been the leading take-off sector in the industrial revolution, but which was slow to invest in subsequent technical developments, became an important topic of debate on this subject. William Lazonick for example argued that cotton textile entrepreneurs in Britain failed to develop larger integrated plants on the American model; a conclusion similar to Chandler’s synthesis of a number of comparative case studies. Studies of British business leaders have emphasized how they fit into the class structure, especially their relationship to the aristocracy, and the desire to use their wealth to purchase landed estates, and hereditary titles. Biography has been of less importance in British business history, but there are compilations. British business history began to widen its scope in the 1980s, with research work conducted at the LSE's Business History Unit, led first by Leslie Hannah, then by Terry Gourvish. Other research centres followed, notably at Glasgow and Reading, reflecting an increasing involvement in the discipline by Business and Management School academics. More recent editors of Business History, Geoffrey Jones (academic)(Harvard Business School), Charles Harvey (University of Newcastle Business School), John Wilson (Liverpool University Management School) and Steven Toms (Leeds University Business School) have promoted management strategy themes such as networks, family capitalism, corporate governance, human resource management, marketing and brands, and multi-national organisations in their international as well as merely British context. Employing these new themes has allowed business historians to challenge and adapt the earlier conclusions of Chandler and others about the performance of the British economy. ↑ Baten, Jörg (2016). A History of the Global Economy. From 1500 to the Present. Cambridge University Press. p. 13. ISBN 9781107507180. 1 2 3 Crafts, Nicholas. Britain’s Relative Economic Performance, 1870–1999. London: Institute of Economic Affairs. ISBN 0-255-36524-1. ↑ Baten, Jörg (2016). A History of the Global Economy. From 1500 to the Present. Cambridge University Press. p. 13-14. ISBN 9781107507180. ↑ David M. Palliser, The Age of Elizabeth: England under the later Tudors, 1547-1603 p. 300. ↑ J. R. Wordie, "Deflationary factors in the Tudor price rise." Past & Present 154 (1997): 32-70. ↑ John S. Lee, "The functions and fortunes of English small towns at the close of the middle ages: evidence from John Leland's Itinerary." Urban History 37#1 (2010): 3-25. ↑ Baten, Jörg (2016). A History of the Global Economy. From 1500 to the Present. Cambridge University Press. p. 15-16. ISBN 9781107507180. ↑ Robert Brenner, Merchants and revolution: commercial change, political conflict, and London's overseas traders, 1550-1653 (Verso, 2003). ↑ E. Lipson, The Economic History of England (1956), 2:196-268. ↑ G.D. Ramsay, The English woollen industry, 1500-1750 (1982). ↑ E. Lipson, The Economic History of England: vol 2: The age of mercantilism (7th 1964) pp 10-92. ↑ Peter J. Bowden, Wool Trade in Tudor and Stuart England (Routledge, 2013). ↑ Stephen Mennell, All manners of food: eating and taste in England and France from the Middle Ages to the present (University of Illinois Press, 1996). 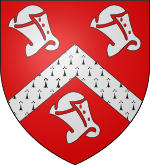 ↑ Andrew B. Appleby, Famine in Tudor and Stuart England (Stanford University Press, 1978). ↑ John F. Pound, Poverty and vagrancy in Tudor England (Routledge, 2014). ↑ "Poverty in Tudor Times". Spartacus.schoolnet.co.uk. Retrieved 2010-08-10. ↑ Paul Slack, Poverty and policy in Tudor and Stuart England (1988). ↑ Max Savelle (1948). Seeds of Liberty: The Genesis of the American Mind. p. 204ff. ↑ George Otto Trevelyan (1899). The American Revolution vol 1. p. 128ff. ↑ Baten, Jörg (2016). A History of the Global Economy. From 1500 to the Present. Cambridge University Press. p. 13-16. ISBN 9781107507180. ↑ Digital History, Steven Mintz. "Was slavery the engine of economic growth?". Digitalhistory.uh.edu. Retrieved 7 March 2009. ↑ Roger Wells, "The revolt of the south-west, 1800-1801: a study in English popular protest," Social History (1977) #6 pp 713-744. ↑ Richard Cooper, "William Pitt, Taxation, and the Needs of War," Journal of British Studies (1982) 22#1 pp 94-103 in JSTOR. ↑ Patrick O'Brien, "The Impact of the Revolutionary and Napoleonic Wars, 1793-1815, on the Long-Run Growth of the British Economy," Review: A Journal of the Fernand Braudel Center (1989) 12#3 pp 335-395. ↑ International Monetary Fund Research Dept. (1997). World Economic Outlook, May 1997: Globalization: Opportunities and Challenges. International Monetary Fund. p. 113. ISBN 9781455278886. ↑ Baten, Jörg (2016). A History of the Global Economy. From 1500 to the Present. Cambridge University Press. p. 58f. ISBN 9781107507180. ↑ Jeffry A. Frieden. "International Investment and Colonial Control: A New Interpretation." International Organization, 48:4 (Autumn, 1994), pp. 559-593. ↑ John G. Ruggie. 1982. "International Regimes, Transactions, and Change: Embedded Liberalism in the Postwar Economic Order," International Organization pp. 379-415. ↑ Adrian Gregory (2008). The Last Great War: British Society and the First World War. Cambridge U.P. ↑ Robert C. Self (2006). Britain, America and the war debt controversy: the economic diplomacy of an unspecial relationship, 1917-1941. Psychology Press. p. 200. ISBN 978-0-415-35022-8. ↑ Baten, Jörg (2016). A History of the Global Economy. From 1500 to the Present. Cambridge University Press. p. 25. ISBN 9781107507180. ↑ N. K. Buxton, "Economic growth in Scotland between the Wars: the role of production structure and rationalization", Economic History Review, (Nov 1980) 33#4 pp. 538-55. ↑ A. J. Robertson, "Clydeside revisited: A reconsideration of the Clyde shipbuilding industry 1919-1938" in W. H. Chaloner and B. M. Ratcliffe, eds., Trade and Transport: Essays in Economic History in Honour of T. S. Willan (Manchester University Press, 1977), pp. 258-78. ↑ "Jake Simpkin - Local Historian & Guide > Home". jakesimpkin.org. ↑ Department, Research (24 May 2011). "1931:The spectre of mass unemployment haunts the UK". The Guardian. London. ↑ "A History of Unemployment". localhistories.org. ↑ Vic Allen, The militancy of British miners (1981). ↑ Ben Fine, The Coal Question: Political Economy and Industrial Change from the Nineteenth Century to the Present Day (1990). ↑ "1959: Macmillan wins Tory hat trick". BBC News. 5 April 2005. ↑ "1982: UK unemployment tops three million". BBC News. 26 January 1982. ↑ Hobsbawm, Eric (1994). The Age of Extremes. London: Abacus. p. 304. ↑ Nigel Lawson, The View from No. 11: Memoirs of a Tory Radical (Bantam, 1992), p. 207. ↑ Kern, David. UK Economic Decline: ‘Myth’ or Reality? (PDF). ↑ Tejvan Pettinger. "Economics Essays: Unemployment in the UK". economicshelp.org. ↑ "1993: Recession over - it's official". BBC News. 26 April 1993. ↑ Tejvan Pettinger. "Economics Essays: Economic Record of Gordon Brown.". economicshelp.org. 1 2 3 Office for National Statistics. Statistics.gov.uk. Retrieved on 31 October 2011. ↑ "UK economic growth figures revised upwards : Finance Markets". Retrieved 2016-09-21. 1 2 "Economic growth revised upwards". BBC News. 30 March 2010. Retrieved 1 May 2010. 1 2 "Bank to pump £75bn into economy". BBC News. 5 March 2009. Retrieved 5 March 2009. 1 2 "ECB, Bank of England cut rates to record lows". CNN. 5 March 2009. Retrieved 5 March 2009. ↑ "Q & A: What is 'quantitative easing?'". CNN. 5 March 2009. Retrieved 5 March 2009. 1 2 Duncan, Gary (5 March 2009). "Bank 'prints' £75bn and cuts interest rates in half". London: The Times. Retrieved 5 March 2009. ↑ How Margaret Thatcher made Britain great again, Andrew Roberts, The First Post, 25 February 2009 How Margaret Thatcher made Britain great again, "She changed British reliance on manufacturing industry just in time"
↑ "Labour market statistics, January 2010" (PDF). Statistical Bulletin. Office for National Statistics. 20 January 2010. Retrieved 22 January 2010. 1 2 Business | Record recession for UK economy. BBC News (23 October 2009). Retrieved on 2011-10-31. ↑ Business | IMF predicts slower global growth. BBC News (17 October 2007). Retrieved on 2011-10-31. ↑ "UK economy comes to a standstill". BBC News. 22 August 2008. Retrieved 22 August 2008. ↑ Conway, Edmund (2 September 2008). "UK is the only major economy to face recession this year, OECD warns". The Daily Telegraph. London. Retrieved 1 May 2010. ↑ Conway, Edmund (7 September 2008). "Gordon Brown policies 'piling up budget deficit'". The Daily Telegraph. London. Retrieved 1 May 2010. ↑ BBC NEWS | Business | FTSE breaks through 5,000 level. Newsvote.bbc.co.uk (9 September 2009). Retrieved on 2011-10-31. ↑ Business | UK economic growth 'has resumed'. BBC News (15 September 2009). Retrieved on 2011-10-31. ↑ UK | Wales | Employment pledge 'may be missed'. BBC News (3 September 2009). Retrieved on 2011-10-31. ↑ "Economy shrinks less than thought". BBC News. 25 November 2009. Retrieved 1 May 2010. ↑ "Moody's hails UK austerity effort". BBC News. 20 September 2010. ↑ "UK economy in double-dip recession". BBC News. 25 April 2012. Retrieved 25 April 2012. ↑ "The Productivity Problem". Huffington Post. 13 August 2012. Retrieved 13 August 2012. ↑ "UK economy tracker: GDP". BBC News. 29 April 2012. Retrieved 9 June 2014. ↑ "IMF raises UK economic growth forecast". BBC News. 21 January 2014. Retrieved 9 June 2014. ↑ "UK inflation falls to 1.6% in March". BBC News. 15 April 2014. Retrieved 9 June 2014. ↑ "U.K. Unemployment Lowest Since 2009 Amid Record Job Creation". Bloomberg. 14 May 2014. Retrieved 9 June 2014. ↑ "UK employment hits all-time high". The Daily Telegraph. London. 17 October 2012. Retrieved 9 June 2014. ↑ "UK deficit falls to lowest level since start of financial crisis". The Guardian. London. 23 April 2014. Retrieved 9 June 2014. ↑ "Eurozone growth misses forecasts, as France stagnates and Italy contracts - as it happened". The Guardian. London. 15 April 2014. Retrieved 9 June 2014. ↑ "ONS: After six years, wage rises match inflation". BBC News. 16 April 2014. Retrieved 9 June 2014. ↑ . Leslie Hannah, ‘New Issues in British Business History’, Business History Review (1983) 57# 2, pp.165-174. ↑ Chandler, A., Scale and Scope: The Dynamics of Industrial Capitalism, Cambridge Mass. : Belknap Press (1990). ↑ William Mass, & William Lazonick, "The British Cotton Industry and International Competitive Advantage: the state of the debates," Business History, (1990) 32#4 pp. 9-65. ↑ Howard L. Malchow, Gentlemen capitalists: the social and political world of the Victorian businessman (Stanford University Press, 19920. ↑ William D. Rubinstein, "Wealth, elites and the class structure of modern Britain." Past & Present 76 (1977): 99-126. ↑ David J. Jeremy, ed., Dictionary of business biography: a biographical dictionary of business leaders active in Britain in the period 1860-1980 (Butterworths, 1984). ↑ Toms, Steven and Wilson, John F. "Scale, Scope and Accountability: Towards a New Paradigm of British Business History," Business History (2003) 45#4 pp 1-23. Aldcroft, D. H.; Richardson, H. W. (1969). The British Economy, 1870–1939. Alford, B. W. E. (1988). British Economic Performance, 1945–1975. Berghahn, Volker R. American Big Business in Britain and Germany: A Comparative History of Two "Special Relationships" in the Twentieth Century (Princeton University Press, 2014) xii, 375 pp. Broadberry, Stephen; Campbell, Bruce M. S.; Leeuwen, Bas van (2013). "When did Britain industrialise? The sectoral distribution of the labour force and labour productivity in Britain, 1381–1851". Explorations in Economic History. 50 (1): 16–27. doi:10.1016/j.eeh.2012.08.004. Clapham, John. A concise economic history of Britain: From the earliest times to 1750 (1949). Fieldhouse, D. K. Economics and Empire, 1830-1914 (1973). Floud, Roderick. The People and the British Economy, 1830-1914 (1997) 218pp. Horrell, Sara (2000). "Living Standards in Britain 1900–2000: Women's Century". National Institute Economic Review. 172 (1): 62–77. doi:10.1177/002795010017200107. Milward, A. S. The Economic Effects of the Two World Wars on Britain (1970). Mokyr, Joel (2010). The enlightened economy: an economic history of Britain, 1700-1850. Yale University Press. ISBN 978-0-300-12455-2. Peden, G. C. British Economic and Social Policy: Lloyd George to Margaret Thatcher (1985). Pelling, Henry. A History of British Trade Unionism (1963). Pope; Rex. Atlas of British Social and Economic History since C.1700 Routledge, 1990). Roberts, E. Women and Work, 1840-1940 (1988). Saul, S. B. The Myth of the Great Depression, 1873-1896 (1969). Bland, A.E., P.A. Brown and R.H. Tawney, eds. English economic history: select documents (Macmillan, 1919). online 733pp; covers 1086 to 1840s.